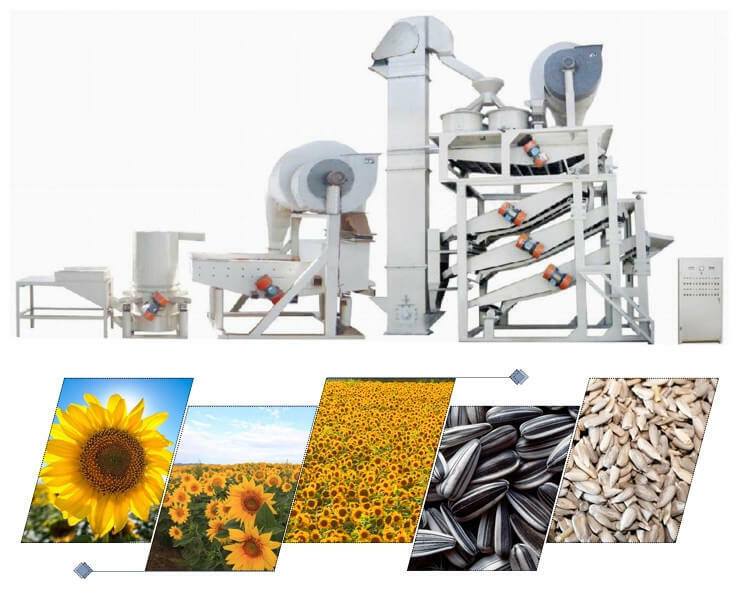 Sunflower seed shelling machine is our newly-developed equipment with multiple functions: cleaning, shelling, peeling, sorting and checking. It is the most advanced sunflower seed processing device in the world. 1. It adopts the unique double shelling set and the frequency-conversion control. 2. The unique wind-force regrinding system increases the shelling rate greatly by re-shelling the unshelled sunflower seed in the second shelling circle. 3. It has high shelling rate and low damage rate. 4. It is easy to operate due to its super automation. 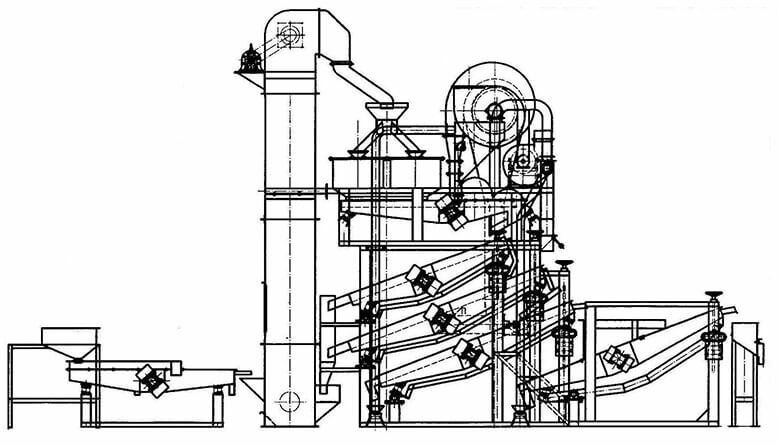 This equipment includes feeding funnel, raw material elevator, the multifunctional cleaning device, bucket elevator, shelling machine (2 sets), checking machine (3 sets), bagging hopper, induced draft system, and control cabinet. Salted sunflower seed is a common snack, but those who prefer a more natural taste may wish to remove the salt. Some soaking and rinsing will remove most of the salt from the seeds. Here we have several steps to remove the salt. 1. Submerge the sunflower seeds in a bowl of water for five minutes. 2. Pour the water and seeds through a colander to drain. 3. Rinse the sunflower seeds in the colander and put them back to the bowl. 4. Steep the seeds with water again for another soaking. 5. Rinse and drain the seeds. 6. Soak and rinse one more time and put the seeds on paper towels to dry before using.